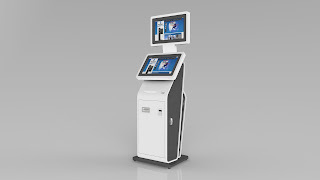 KT Group local Hong Kong based self service kiosk manufacture known for design and innovation in their kiosks they produce have several different designs for payment and one design that we like to present is AMA terminal. 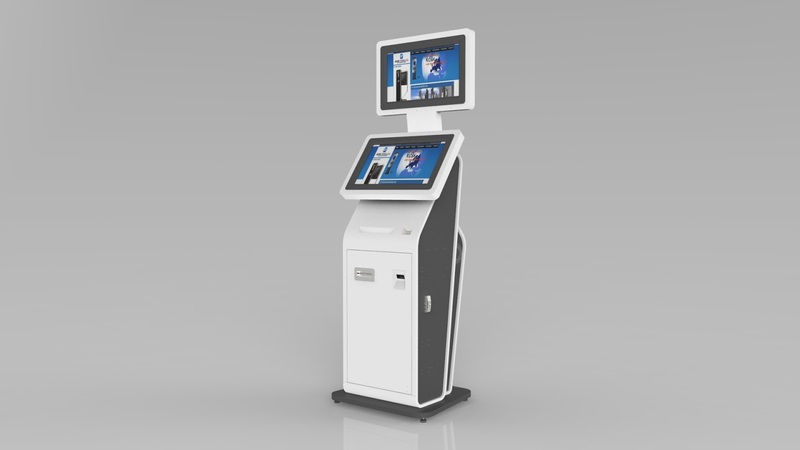 The design centers around a wide screen touch monitor that is perfectly positioned for a normal adult height person to be able to easily glance down and browse through the touch interface. A optional top screen is a easy fit for being able to display informational or ad messages and this can be combined with integrated audio speakers if needed. Several options can be chosen for peripherals, and integrated as always in our payment solution are properiatory cash and coin safe boxes that house securely stored notes and coins in a sealed locked safe.